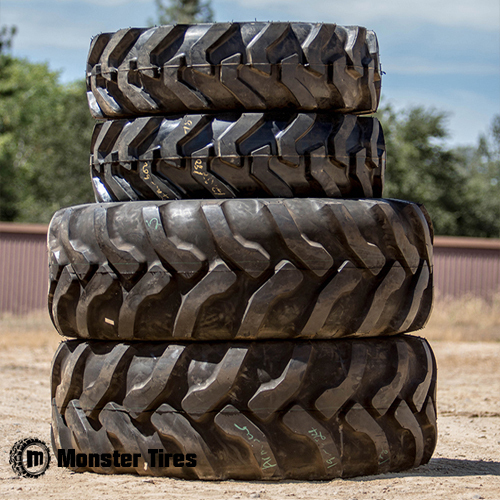 If you are located Shasta County, Ca and the Redding area, you can count on Monster Tires to get you the right Tracks and Tires at the best price. If you are looking for a local pick-up or delivery, we can handle it. We are located in Placerville, CA near Sacramento and can arrange for Transport and Trucking at any time. When your industrial tires on your heavy equipment wear out, you are out of luck. You can’t use your construction equipment on bald or damaged tires because of the risk of injury to yourself and your workers, the risk of damage to your equipment, and the risk of getting slapped with a fine for having an unsafe work environment. At the same time, you can’t really afford to have your heavy equipment sitting there unused, because every day your construction equipment is idle you are losing money. So what do you do? You give Monster Tires a call; that’s what you do! 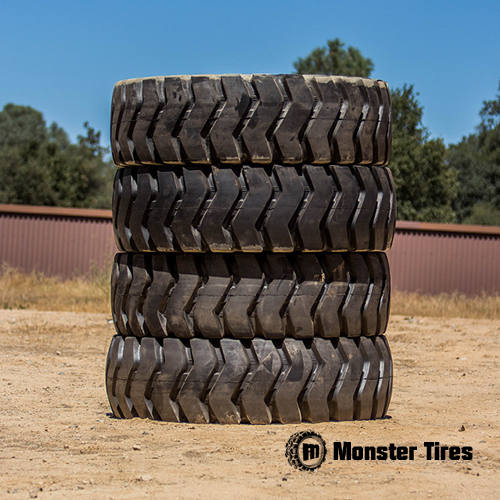 At Monster Tires, we have industrial tires for your Redding business. We have backhoe tires, skip loader tires, skid steer tires, wheel loader tires, and much more. We also have a wide range of tread types, so whether you are working on loose, muddy ground, sleek lawns whose grass needs to be protected, or concrete or gravel construction sites, you can get the tread style that will work best for your project. If you are not quite sure what kind of industrial tires will work best for your project, don’t worry. Just give Monster Tires a call and we’ll help you figure out what to order to get your construction equipment up and running again ASAP. If you are like many business owners, your backhoe is your bread and butter when it comes to a really useful piece of equipment. If you need dirt to be moved or an excavation to be dug, your backhoe is your go-to tool. Unfortunately, when your backhoe tires are worn out, bald, or damaged, you can’t use it without causing danger to your workers and risking fines for having an unsafe work space. Down time is really expensive. Every day that you’re not using your backhoe because of tires that need to be replaced, you are losing money, extending the time on the job you are working on, and possibly making your customers unhappy. Get your backhoe working again with Monster Tires. When you order your backhoe tires for your Redding business from Monster Tires, we guarantee delivery in 5-7 business days. So you can have your equipment up and running again with minimal downtime, and at the same time you can be confident in the quality and reliability of your new tires. If you need wheel loader tires in Redding, you have come to the right place at Monster Tires! We have the tires you need for your wheel loader, no matter what brand, make, or model you have. If you are not quite sure what kind of wheel loader tires you need, don’t worry. Just give us a call and we will help you figure out the perfect equipment for your needs. At Monster Tires, customer service is our number one goal, and we will do whatever it takes to help you get the tires you need to get your wheel loader back up and running.